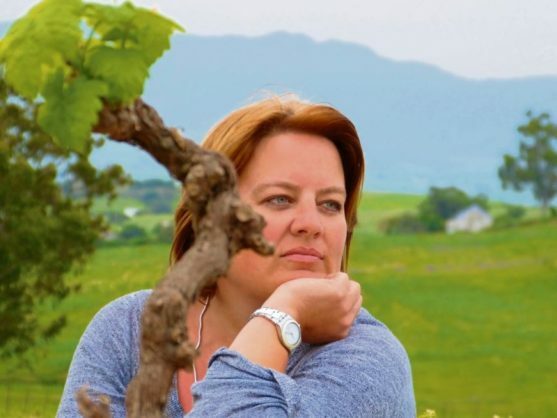 Top Swartland winemaker and producer Christa von La Chevallerie from Huis van Chevallerie is one of the country’s leading female winemakers who will be showcasing some of her wines at the upcoming Women of Wine South Africa (Wowsa) festival. Von La Chevallerie, whose vineyard supplies estates such as Mullineuxs and Donovan Rall, this year released the first wine in South Africa to carry the Certified Heritage Vineyards seal. Devised by the Old Vine Project, the seal bears the date that the vineyard was planted and is one of the first in the world to be certified by a national authority. The Nuwedam Old Vine Chenin Blanc is produced using grapes sourced from a vineyard block on Von La Chevallerie’s Swartland property that was planted in 1974. Tell us about your wines that will be shown at Wowsa and what food would they pair well with? The Huis Van Chevallerie Circa Prosecco is our porch pounder! This beautiful bubbly is made from pinotage which makes for a fruity yet not too sweet rosé, and always pairs well with something fishy, or even just a plain tomato and cheese sandwich. Our Grand Dame Filia, a 100% Chenin Blanc MCC, will also be on the walkabout and is paired well with all things meaty, fishy or even a mussel curry. How will you be spending Women’s Day and what is your wish for women? I’ll be in Johannesburg ahead of Wowsa and something fun will definitely come up. But I wish women the freedom of choice and the prosperity of the choice they make to better their lives. Women have a phenomenal ability to adapt and change for the greater good without a fist fight. How difficult is it as a female wine maker in what is still a male-dominated industry? I learned most of what I know from men, who taught it to me straight and gave me the freedom to learn. In the end, it’s not a competition between genders, it’s the ability to be inspired, create your own product and sometimes just sticking your heels in and doing the hard work. Men respect that. Do women bring a different touch to winemaking? We are probably a bit more diplomatic but both [sexes] bring positivity to the industry. Women have always played a huge role in agriculture, we just need to voice it. We tend to not be as egotistical as men. Not only being the winemaker, but the custodian of a farm. In the Swartland I can choose to enjoy the farm, my horses and dogs or drive an hour to town for a party. Women of Wine South Africa takes place on Sunday, in celebration of women’s month, at the Candlewoods Boutique Venue in Centurion. The Festival will also feature craft beer, gin and tequila made by women. Tickets are R150 a person with children under 18 free.